Find below 8 reasons to visit Australia on your next family holiday. 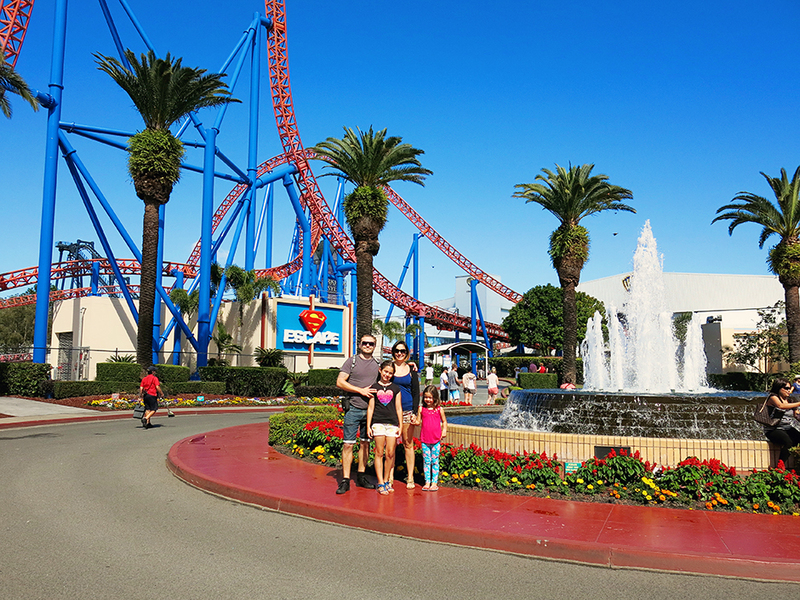 With so many diverse attractions, activities and sights, holidays with the kids in Australia is the clear winner! Australia is the land of the Kangaroos, so much so that it even has an entire island named after them! Kangaroo Island in South Australia is a home to the endemic Western Grey Kangaroos. It is also a shelter to several kinds of animals and birds like the southern brown bandicoot, the tammar wallaby, the short-beaked echidna, the long-nosed fur seal, the pelicans, and a little penguins colony. And how can we possibly forget about the koalas, that are in abundance on the island? 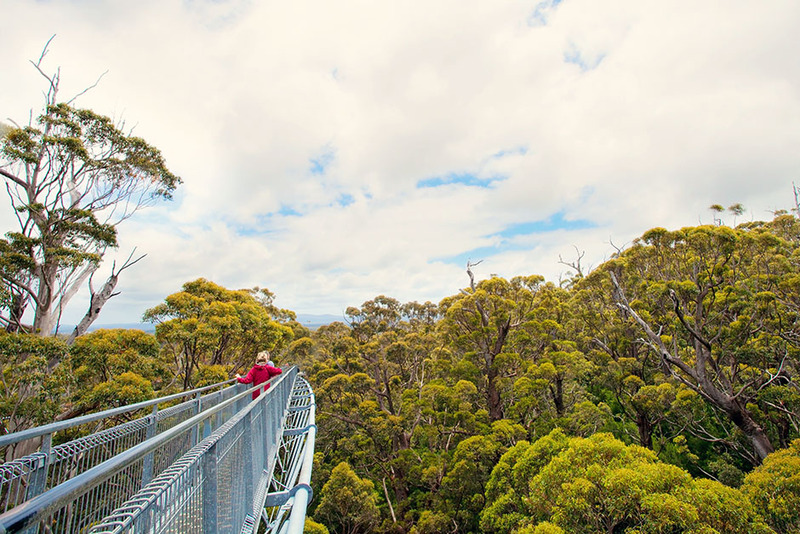 The Kangaroo Island has several nature reserves and sanctuaries such as the Seal Conservation Park and the Flinders Chase National Park which are huge attractions for the children. The place also offers fun activities like pelican-feeding sessions and tours of the honey farms. 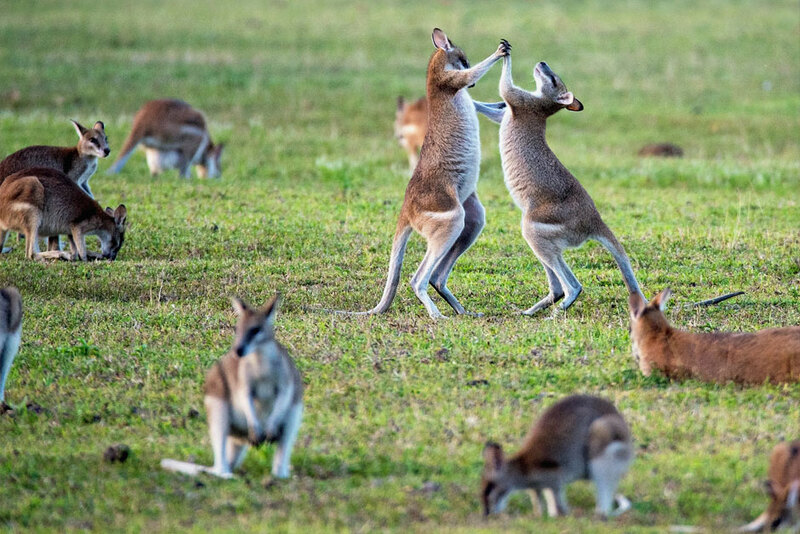 Of course, you can see kangaroos and koalas in any of the states in Australia, but Kangaroo Island is our favorite and our kids always have an incredible time there! The Great Barrier Reef is the world’s largest coral reef system and one of UNESCO’s World Heritage Sites. The Great Barrier Reef Marine Park protects a large part of the actual reef and serves as a brilliant destination for your family to experience the thrills of scuba diving and snorkeling. Teenagers and adults can go for scuba-diving while kids as young as 6-8 years of age can pursue snorkeling if they are adequately trained, under strict supervision. They also have mini-subs and underwater viewing facilities for kids. 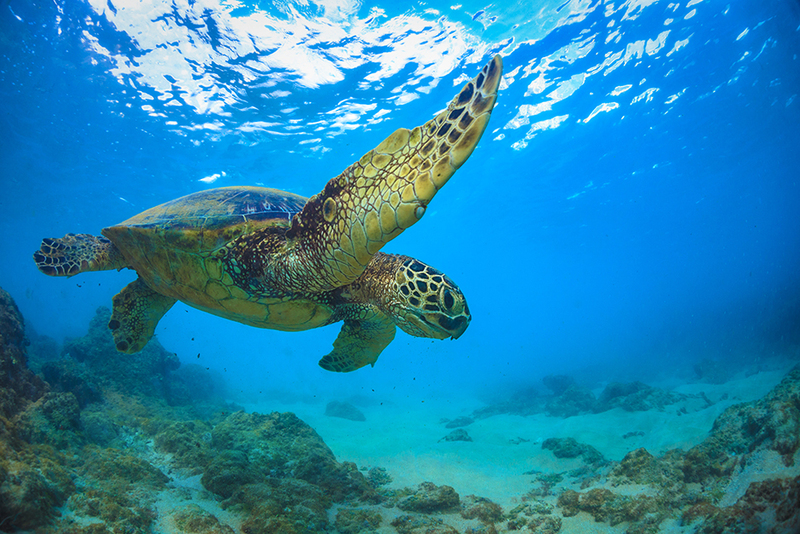 Here is some more information about how to visit the Great Barrier Reef with kids. Either way, beholding the color-splashed reef upfront is a unique experience. It is home to innumerable species of fish and aquatic life, such as the Maori wrasse. On dry land, there are many resorts in the far north of Queensland that offer pool activities like waterslides, wave skis and paddleboards for family gatherings. 3. Where’s the Gold At? I think this one’s an absolute paradise for kids and adults alike in Australia. With five enormous theme parks: Dreamworld, Sea World, Movie World, Wet’n’Wild and WhiteWater World, the Gold Coast is the absolute gem that you cannot miss. Beyond the theme parks, you can also enjoy the wide range of amazing sports and activities like surf-lessons, sea-kayaking, jet skiing or whale-watching. What’s more, you ask? The famous Australia Zoo is just two hours north of the place, and the claims regarding its awesomeness are well justified. Gold! You see? 4. Even more Beaches Anyone? If there’s something that you won’t run out of, on your holiday with kids in Australia, is the 11011 beaches that are there for you to enjoy. Soak up the sun at Port Douglas’s Four Mile Beach. It is a calm, gently sloping sandy beach. 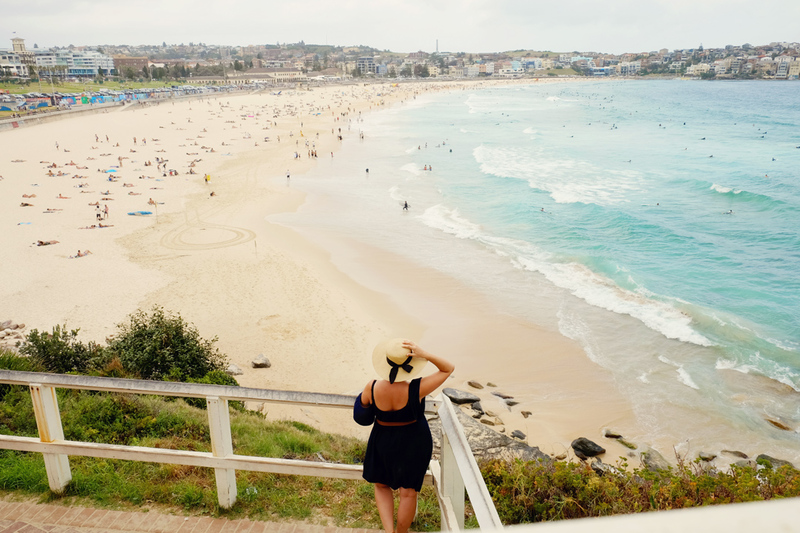 Head out for an outstanding view of the Bondi Beach in Sydney. Or hit the Surfer’s Paradise at The Gold Coast. 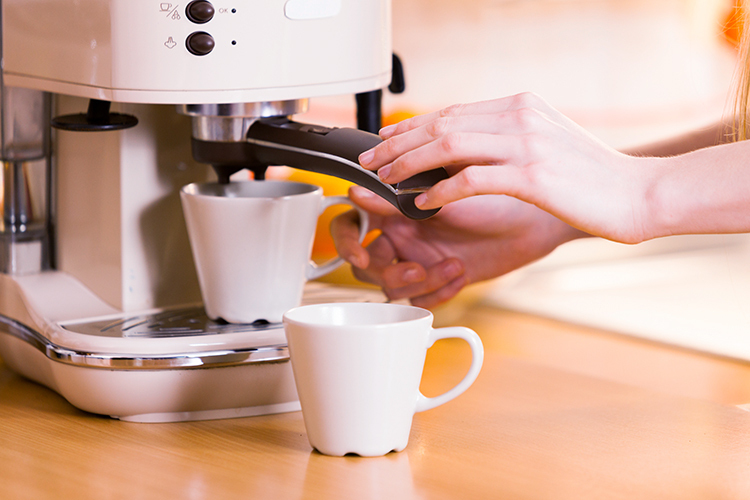 There are numerous options for all age groups offering a variety of activities. There is almost no lack of places for you to travel around Australia with kids. 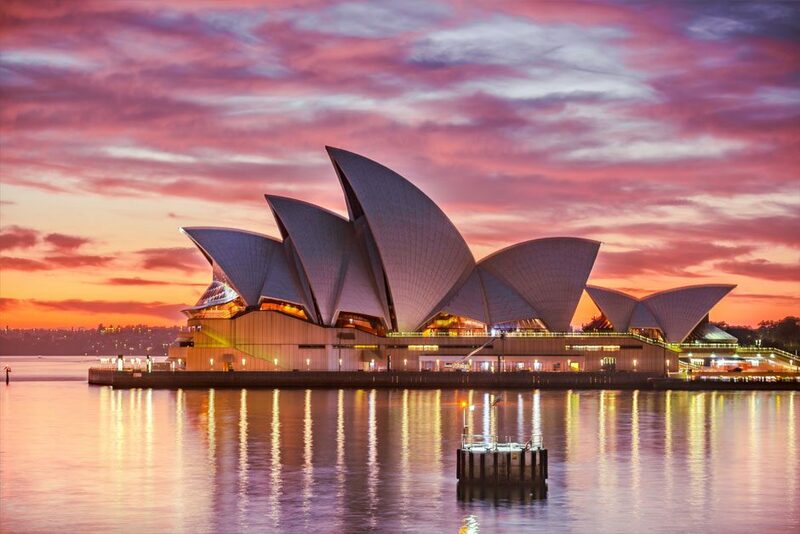 Australia’s biggest city would be pitifully lack-luster without the magnificent Sydney Harbour and its glamorous waterways meandering through the busy city life. Hop onto an Old Sydney ferry with the kids to tour around the location. Be mesmerized by the Sydney Opera House, enjoy chugging under the Sydney Harbour Bridge or eat out at the Cockatoo Island or Fort Denison. Speed out to the Manly Beach to surf or trot away with your family to the Darling Harbour for the Australian National Maritime Museum, the Wild Life Sydney Zoo or the Sydney Sea Life Aquarium. 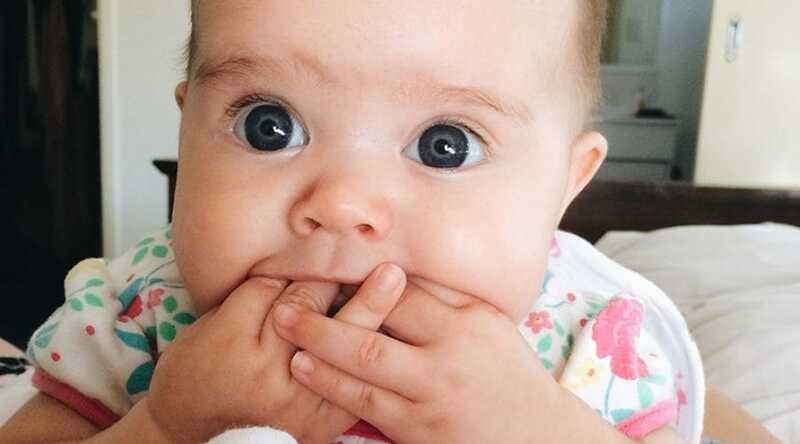 Here is a list of fun things to do in Sydney with kids. 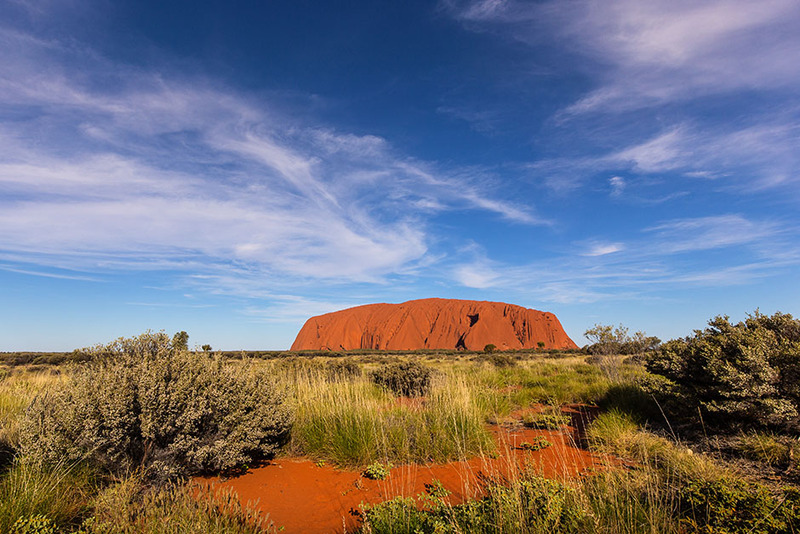 Find out more about Australia’s cultural history of the Aboriginal people at Uluru. If you can’t make it to the location, there are several other places where you can meet the Aboriginals and know about their colorful antiquity! Experience it all from the didgeridoo players at Sydney’s Circular Quay to primitive cave paintings, guided cultural walks and Aboriginal Cultural parks such as the Tjapukai cultural park outside of Cairns, to learn more about the many traditions of the Aboriginal people. Ferry out onto the Brisbane River and go round the heart of the city or Visit the adorable Lone Pine Koala Sanctuary to cuddle up one of the furries in your arms. 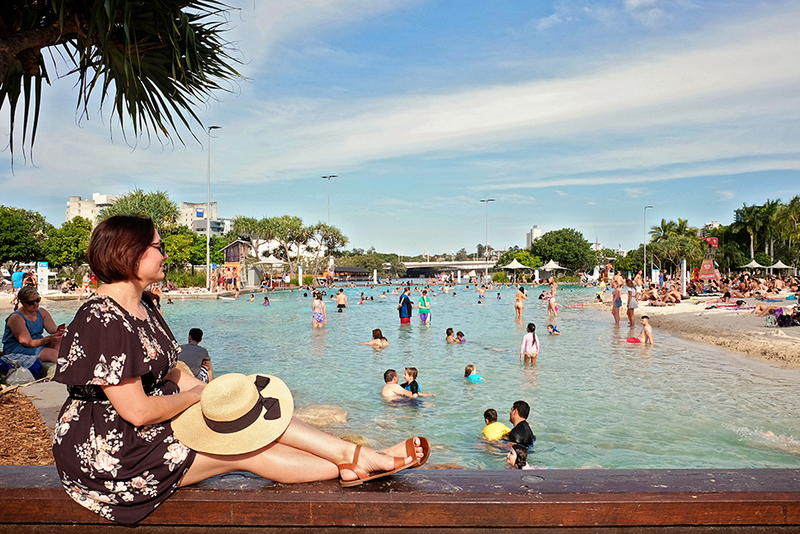 The South Bank Parklands in Brisbane provide BBQ, playgrounds, lawns and even a ride of the slow-spinning Wheel of Brisbane! The lifeguard-patrolled Streets Beach with its shallow waters is built for small swimmers. Take a stroll along the riverbank at New Farm Park and let the kids out to play at its awesome treehouse playground. Also, The Queensland Art Gallery and The Queensland Museum & Science Centre offer interactive sessions and school holiday programs along with dedicated activity rooms for your children. South Western Australia opens up a vast range of explorable locations for you and your family to visit. The stunning Valley of the Giants near Denmark (not in Scandinavia though), is a 600m- long treetop walk that is ventured through giant Tingle trees. The feeling can be surreal! Other natural attractions include hiking up at Walpole-Nornalup National Park. Or, climbing up the 68m Dave Evans Bicentennial Tree at the Warren National Park. Descend underground at the CaveWorks & Lake Cave near Margaret River the Ngilgi Cave by Yallingup. Past the kids’ bedtime, spend a few romantic moments at the southwest wine scene and kindle up some fire at the beautiful landscape! 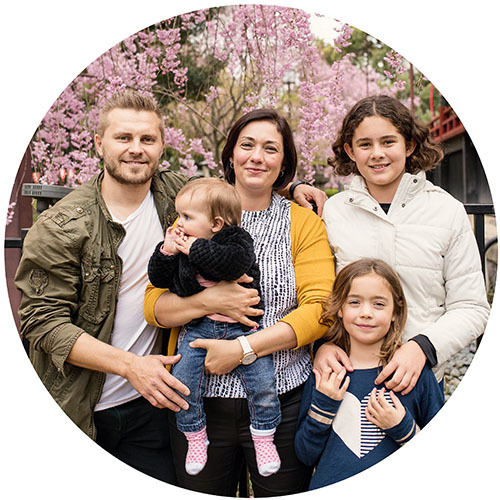 Ready to Book your Holidays with Kids in Australia? We hope that by now you have begun planning your Australian family holiday to these exotic places. Australia for kids can be as exciting as it is for grownups. It is one of the most beautiful places on earth which never fails to enchant anyone. 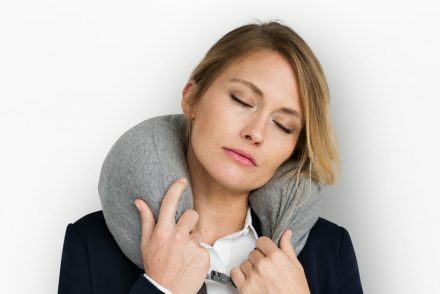 We all know that the flight to Australia is a LONG one, so make sure to grab one of the best travel pillows for your journey over! 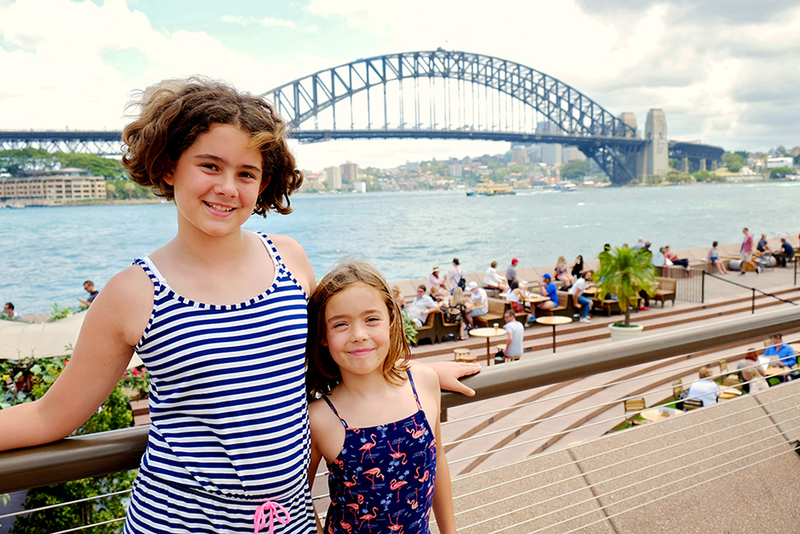 Travel in Australia with kids to your heart’s content and thank us later! Hope you liked our listicle. 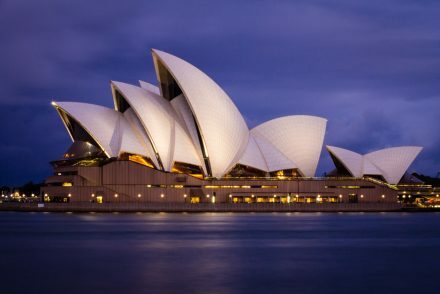 Visit our travel hub for more travel articles about Australia.